[ #AfterEffects #Cinema4D ]Available in the Fall release of After Effects CC 2014, upgrade delivers improved integration and performance between MAXON’s powerful 3D application, Cinema 4D, and Adobe’s industry-leading software. MAXON, the leading developer of professional 3D modeling, painting, animation and rendering solutions, announced MAXON Cineware 2.0 and Cinema 4D Lite Release 16, now available in the latest version of Adobe After Effects CC (2014.1) . The upgrades symbolize the ongoing strategic relationship between MAXON and Adobe to deliver improved integration and performance between MAXON’s powerful 3D application, Cinema 4D, and Adobe’s industry-leading software. The new updates to the Cineware workflow, available in the Fall release of After Effects CC 2014, are designed to optimize performance and enhance creative capabilities. 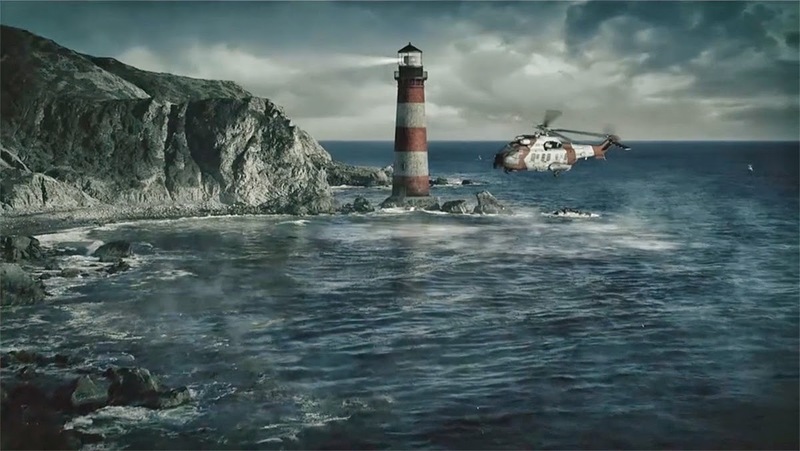 With After Effects CC, creative professionals benefit from the seamless integration provided by Cineware that establishes a direct connection between Cinema 4D and After Effects. Users can open, edit and enhance Cinema 4D project files inside After Effects using the Live 3D pipeline first introduced last year in After Effects CC. Even compositing passes can be selected, edited and enhanced directly in After Effects. Cinema 4D Lite, a light yet feature-rich version of Cinema 4D, is included in After Effects CC. -Cinema 4D Release 16 Compatibility: Last month, MAXON introduced Cinema 4D Release 16 (R16) marked by powerful enhancements to modeling, reflections and rendering. Cineware 2.0 offers compatibility with the commercial versions of Cinema 4D. Additionally, access to many of the new features in R16, including new multi-layered reflections, are now available within Cinema 4D Lite R16 as part of the Fall 2014 release of After Effects CC. -Purge Memory: In order to improve performance and interactivity, an internal cache is used to store render data when using a Release 16 version of Cinema 4D as the render engine. The Purge Memory button frees cached data so that it can be used for RAM previews within After Effects. -Default Layer: The Cinema 4D layers dialog box now shows a Default Layer option if the renderer supports it. Objects that have not been assigned to an explicit layer in the .c4d project file can be isolated by choosing the Default Layer in After Effects. -Automatic Synchronization: When adding multiple instances of a Cinema 4D scene in a composition, a new Synchronize Layer checkbox at the top of the Effect Controls panel enables artists to automatically synchronize Cineware effect settings on all instances of the scene. If this checkbox is disabled for a specific Cineware layer, then that layer’s settings will not synchronize with the rest of the layers in that composition. This replaces having to utilize the “Apply To All” button from previous versions of Cineware. -Cinema 4D Content Browser: When rendering with a full retail version of Cinema 4D R16, textures included in the Content Browser preset libraries will render correctly in After Effects. -Collect Files for Cinema 4D Assets: The Collect Files command in After Effects now collects assets associated with the Cinema 4D scene, such as textures. For After Effects CC users wishing to experience the more powerful features beyond Cinema 4D Lite, MAXON offers an attractive upgrade path to Cinema 4D Broadcast and Cinema 4D Studio for an even richer 3D content creation experience.